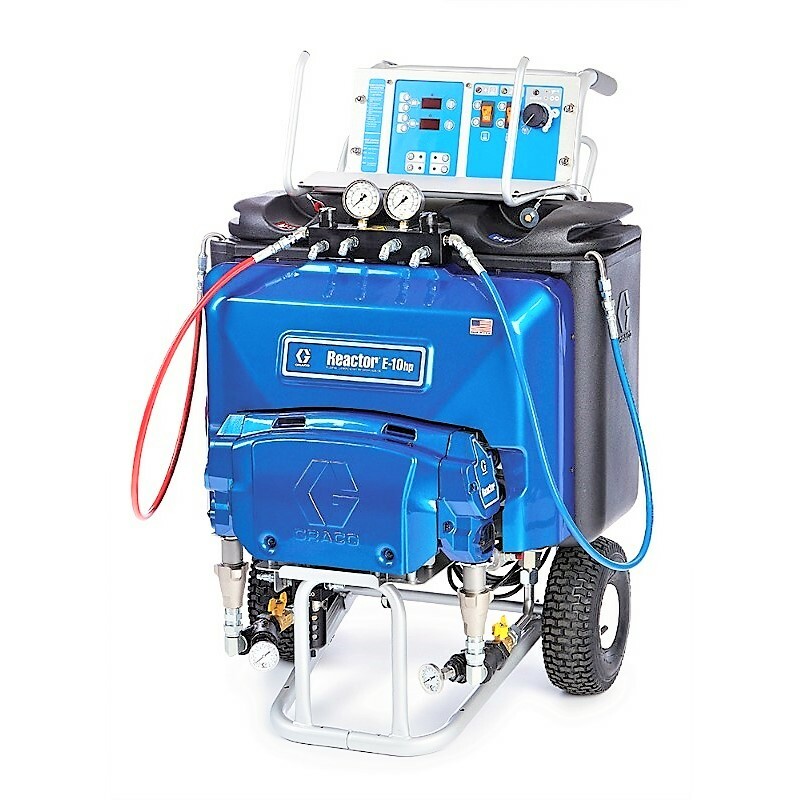 The Reactor E-10hp is an ideal entry-level system and is great for coating projects such as balconies, pools, waterproofing and bedliner applications. It’s a smart, affordable investment that will help your business grow. And even though it’s an entry-level system, it still packs plenty of power. The Reactor E-10hp adds high pressure to give you the power and performance you need to spray polyurea coatings. This compact unit is lightweight and portable – and even runs on residential power so you don’t need to invest in a generator. The boost heat uses the extra available power from the motor circuit when the machine is recirculating and applies that extra power to additional heater rods, which means that during recirculation mode, you have additional total heater amperage for faster material heating.